Is it possible to tell an entire story full of perfumes in a single sentence? Can one express beauty with few means? 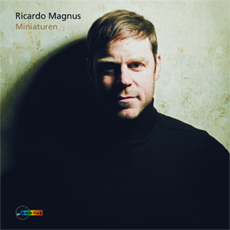 Fascinated by miniatures of high musical and poetic value, the harpsichordist Ricardo Magnus presents us with a wonderful collection of small pieces. With a wide range of tonal colours and a great attention to detail in his interpretation, he reveals a world of unexpected treasures. Despite their conciseness, or rather thanks to it, these musical microcosms contain universes of sensitivity, which strike the most intimate chords within us with a momentum often lacking in works of greater scope.